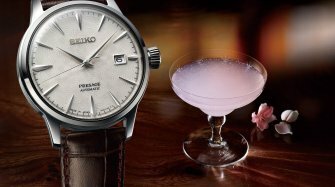 The new automatic Grand Seiko caliber for women is presented in a beautiful limited edition. The new Caliber 9S25 is just 4.49 mm in height, allowing the case to fit every wrist, but it also has the strength to deliver a 50 hour power reserve and a precision of +8 to -3 seconds a day. 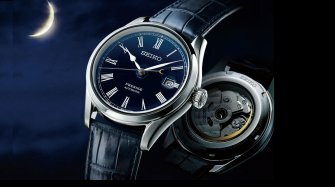 It uses Grand Seiko’s most advanced technologies, including the latest 610 alloy for the balance spring and MEMS engineering for the pallet fork, escapement wheel and other key components. The gear train layout is entirely new as is profile of the teeth on each gear to ensure maximum energy efficiency. The escapement wheel has a new design that is lighter but still robust and designed for maximum durability. It is an 8 beat caliber with 33 jewels. 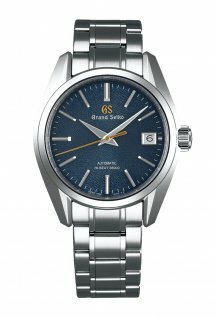 Like all other Grand Seiko mechanical watches, this watch is made and assembled by hand at the Shizukuishi Watch Studio in Morioka and each 9S25 movement is put through the same rigorous 17 day testing procedure as every men’s Grand Seiko mechanical watch. Through the sapphire case back, the beauty of the new caliber and the care taken over its finishing shine bright. Hidden within the movement is the escapement wheel which is made in the shape of a five-petal flower and, beneath the oscillating weight, the elegant lines of the bridges flow like a stream that can be glimpsed as the weight moves back and forth. The rich look of the dial is achieved with silver lamé that creates the texture of the snow on Mt Iwate that overlooks the Shizukuishi studio where the watch is made. 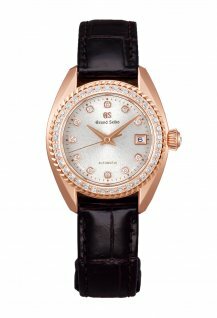 The bezel features 37 diamonds set into the 18k rose gold case (28.7 mm in diameter) with 60 diamond-cut facets. 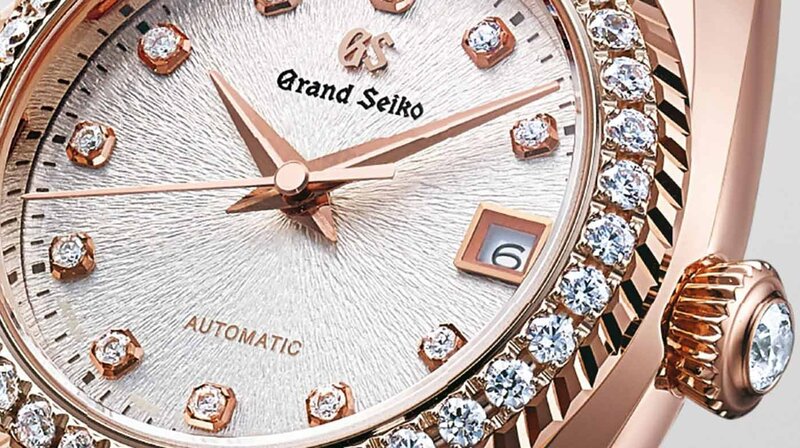 One larger diamond is set into the crown and eleven more mark the hours on the dial. The watch is fitted with a black crocodile strap, with three-fold clasp and push button release in 18k rose gold. An additional white strap is included. It has a white textured surface with a grosgrain pattern but behind it lies a second and hidden layer, made of the finest crocodile leather. 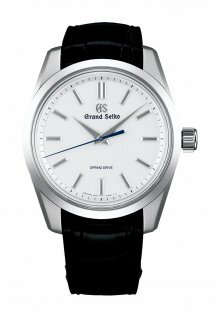 This watch is offered in a limited edition of 50 and will be available in July.